SCOTLAND’S biggest and richest race meeting the Coral Scottish Grand National Festival will, for the second year running, feature a ‘showdown’ for the British jumps trainers’ championship. But this year it is Nicky Henderson, currently £150,000 ahead, who is challenging champion Paul Nicholls and not Willie Mullins who ran the champ so close last year. 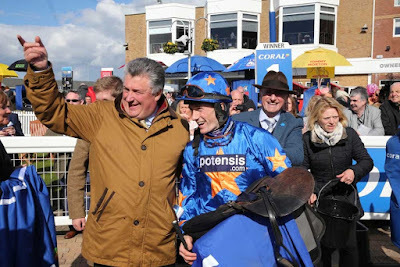 In fact Nicholls virtually clinched the title in 2016 by winning the Coral Scottish Grand National with Vicente, and is targeting the £122,000 first prize this year with Arpege D’Alene - fourth in the JT McNamara National Hunt Challenge Cup at Cheltenham last week. Like Vicente, a seven year-old, Arpege D’Alene is part-owned by Sir Alex Ferguson, and the Ayr race has long been his target. The Coral Scottish Grand National is the second richest race behind the Grand National, still to be run for this season, so will play a pivotal part in the trainers’ race. 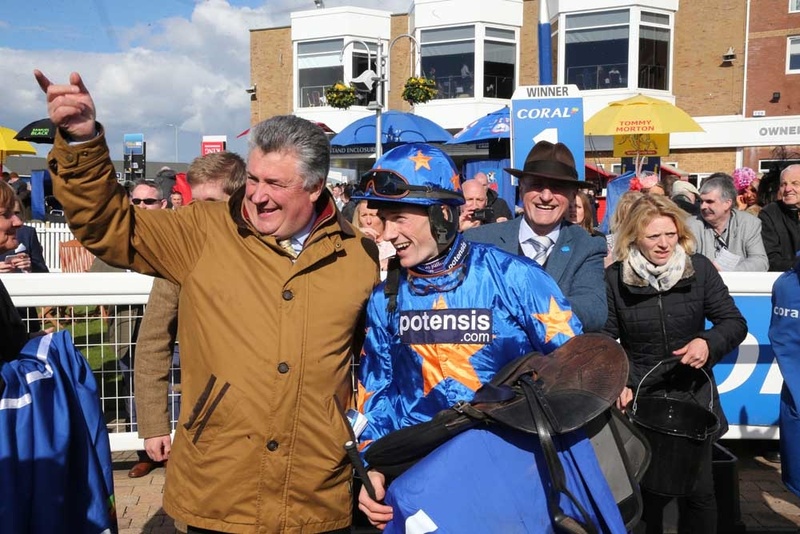 Both Nicholls and Henderson are likely to have runners in the four Class 1 contests at the Coral Scottish Grand National Festival, which include the QTS Scottish Champion Hurdle which carries a winners’ prize of almost £60,000. Scotland’s richest race meeting takes place on Friday 21 April and Saturday 22 April and tickets are selling fast. The Saturday card has sold out in advance for the last two years and will undoubtedly do so again this year. For more information and to book tickets go online at www.ayr-racecourse.co.uk or call 01292 264179.